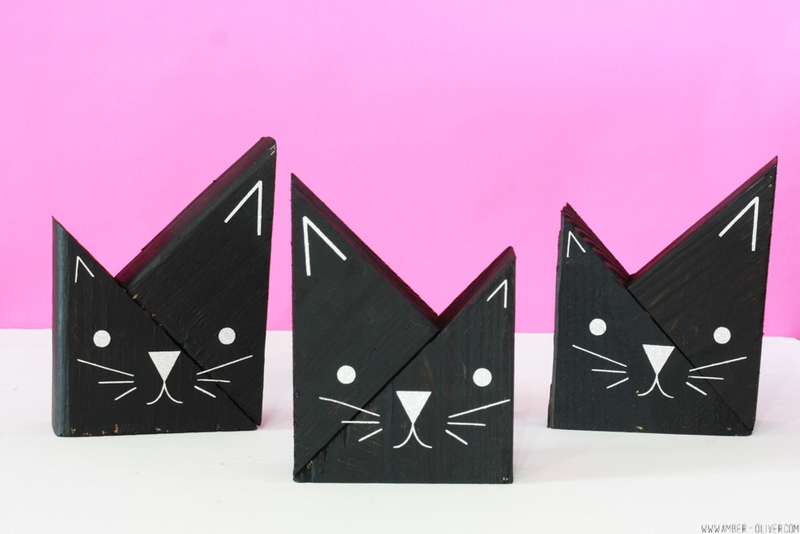 I used scrap wood to create cute DIY wooden cats. 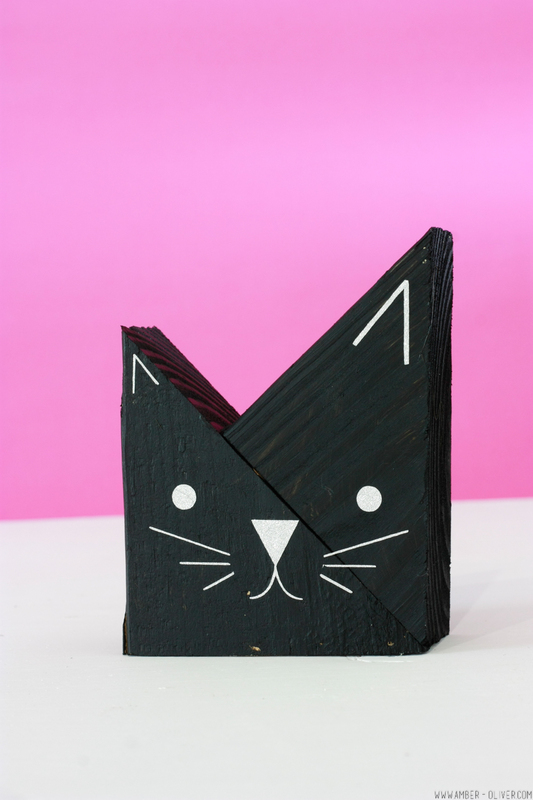 This is an adorable project for Halloween but cat lovers will want them to stay out year round! Most couples have weird habits that most people don’t know about. For some it’s cutesy nicknames – for us it’s meowing! One year in college, I dressed as a black cat for Halloween and spent the entire night meowing at everyone – especially at Eric! Even now, years later I’ll jokingly meow at Eric when I’m trying to get his attention. 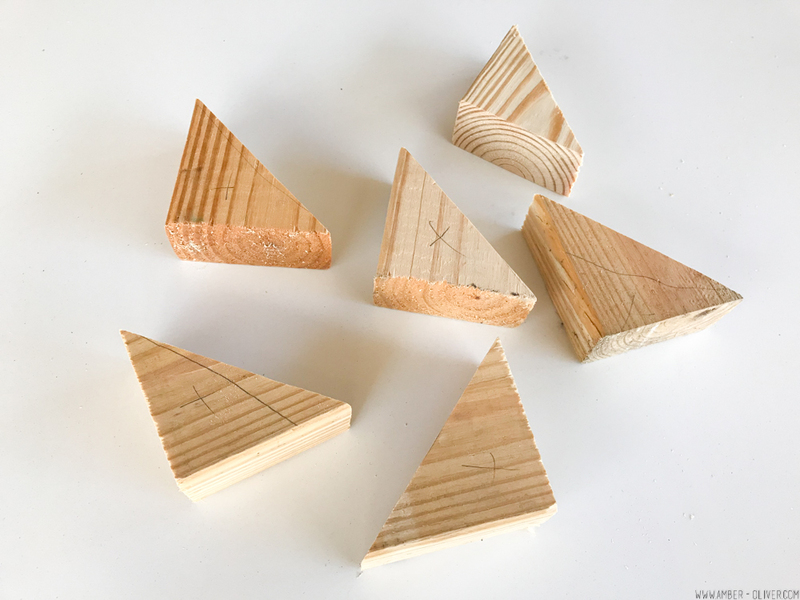 It’s one of those weirdly cute habits most people don’t know about 😉 I was cleaning the garage earlier this week and came across a few triangles of scrap wood that were left after I cut some 2x4s for a project. I picked them up and started rearranging them and realized I could make a SUPER cute project with them! I love cats but since Eric is allergic we don’t have one. 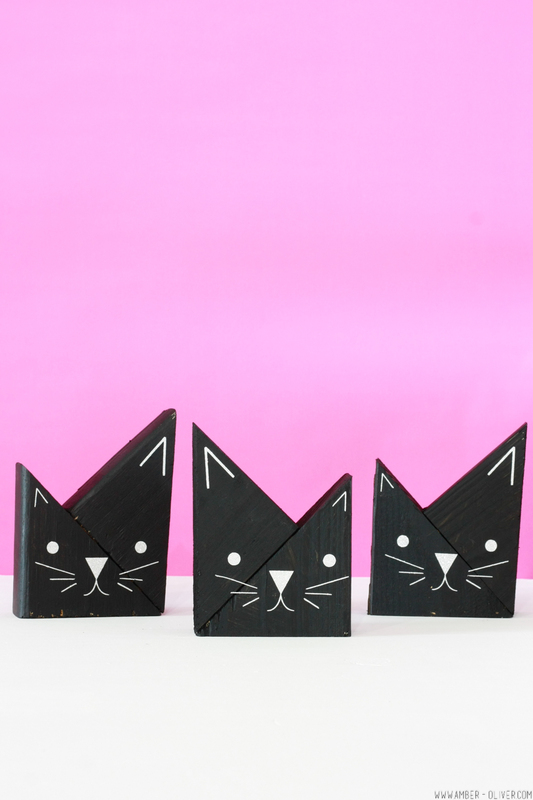 When I saw these pieces of scrap wood laying on our workbench, I knew I could make some super cute wooden cats with them! For this project I used scrap wood triangles, wood glue , black paint , glitter vinyl, and the Cricut Explore Air™ 2 machine. 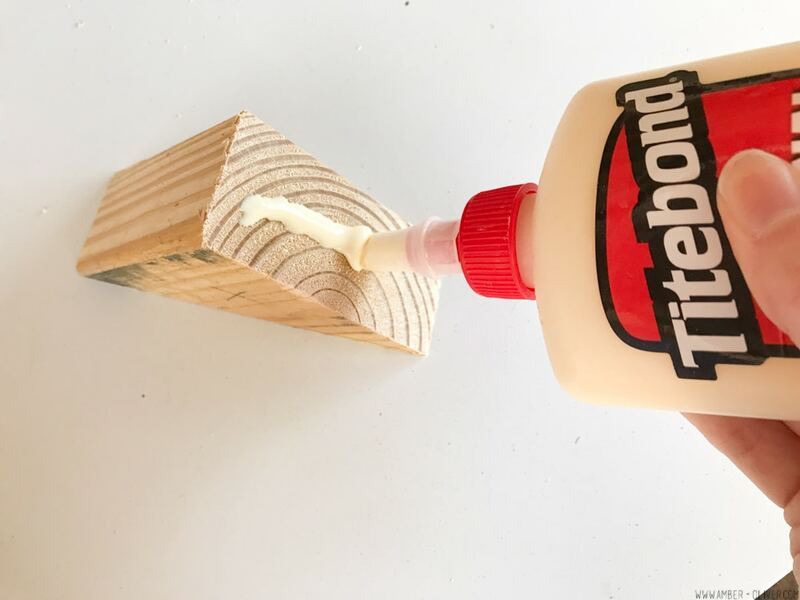 Step 1: Cut your scrap wood into triangles. Mine are about 3 inches tall! Step 2: Put the two pieces together to form the wooden cat face and use glue to attach. Step 3: After the wood glue dries, paint your kitties! I chose black which was perfect for Halloween. Step 4: I created a cute file you can cut from glitter vinyl. 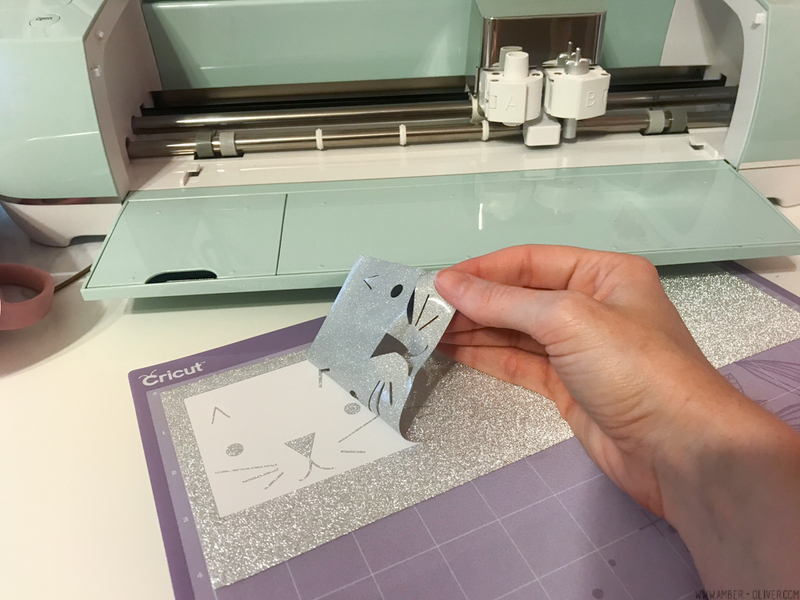 Open the cats face using THIS FILE from the Cricut Design Space™. Step 5: My file has 3 kitty cat faces – you can remove or resize them as needed! 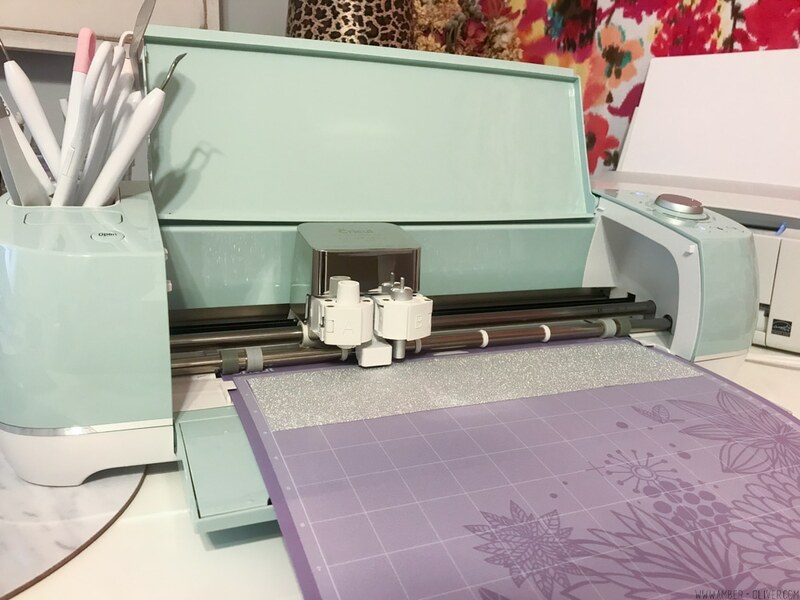 When you have them lined up, send to your Cricut and cut out of glitter vinyl. Step 6: Weed your design. (If you’re using my file, I added a weeding box for you to make this even simpler!) Step 7: Using the heavy duty transfer paper, apply the face to the wood. Be sure to line up those little ears properly! Thank you! It would look cute free hand too!